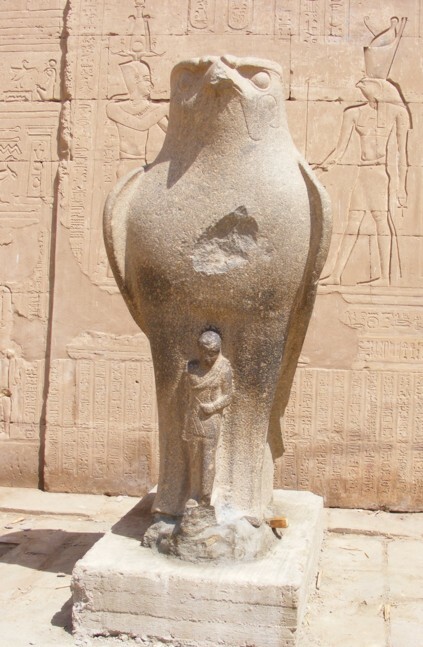 After docking at Edfu we went to visit the Temple of Horus, the falcon god. 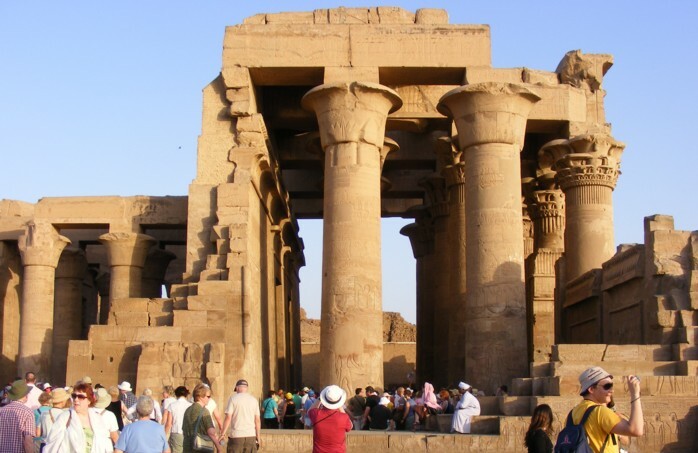 This temple was substantially built in the Graeco-Roman period. 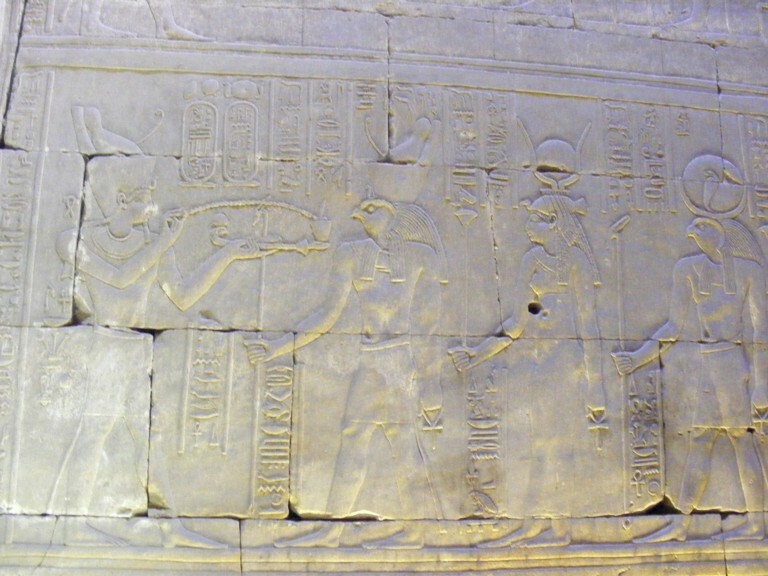 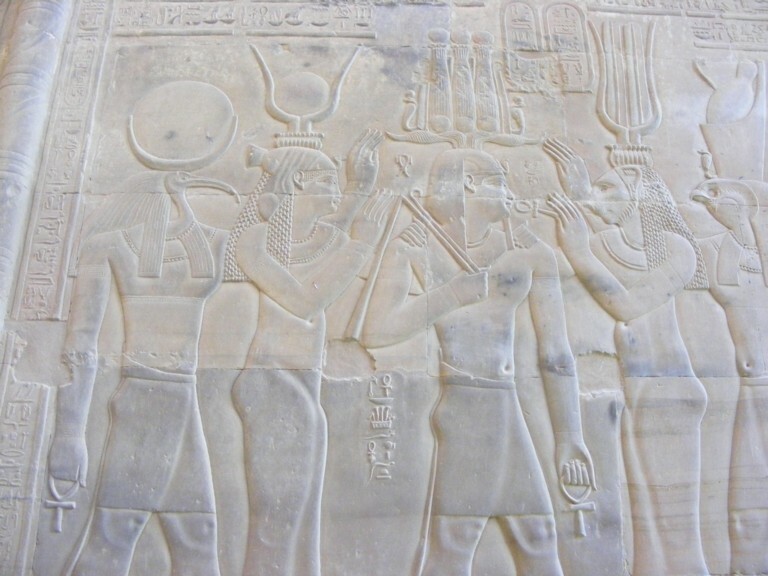 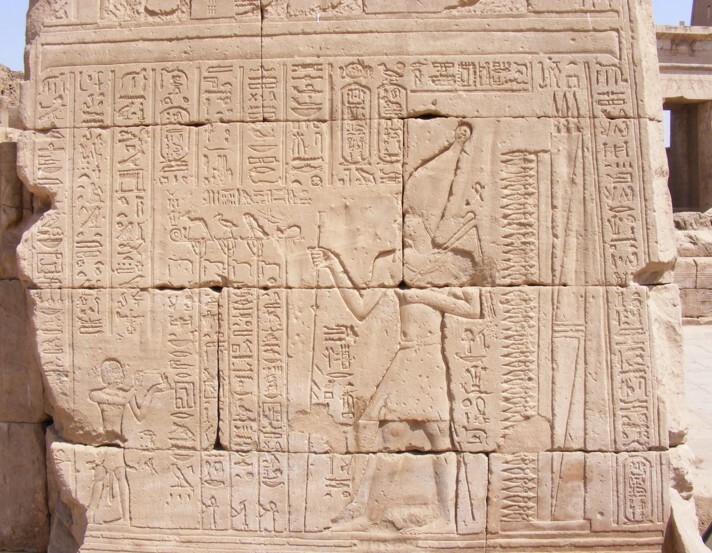 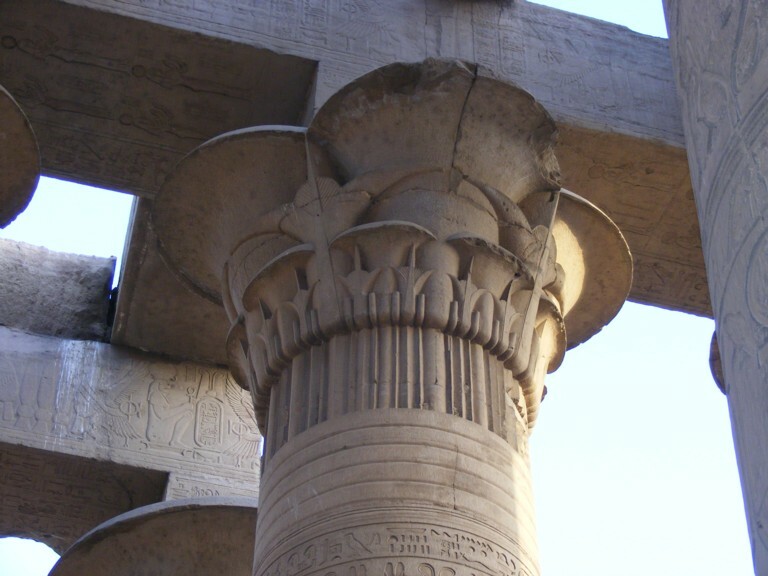 The Ptolemaic hieroglyphs in the many wall and column decorations enable modern scholars to reconstruct the ceremonies that took place in the temple. 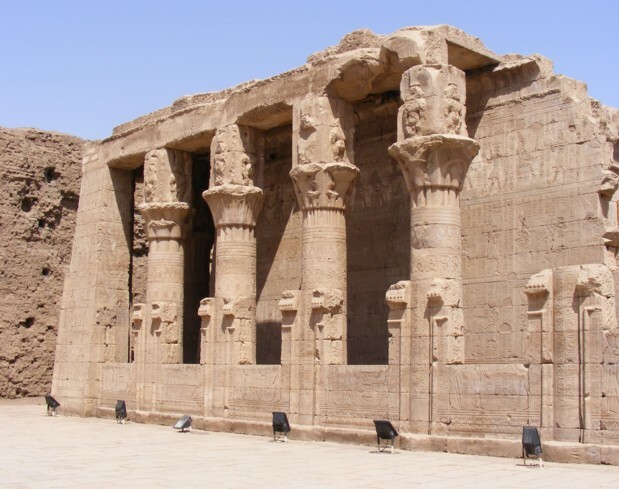 Many higher decorations were desecrated by christians during the late Roman period after the temple had been filled with sand and river silt from the Nile inundations after the retaining walls around the temple had been breached. 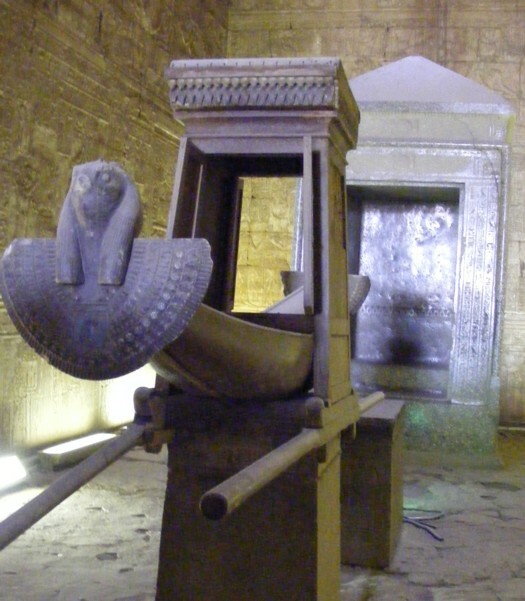 Lower decorations were protected by the accumulated silt. 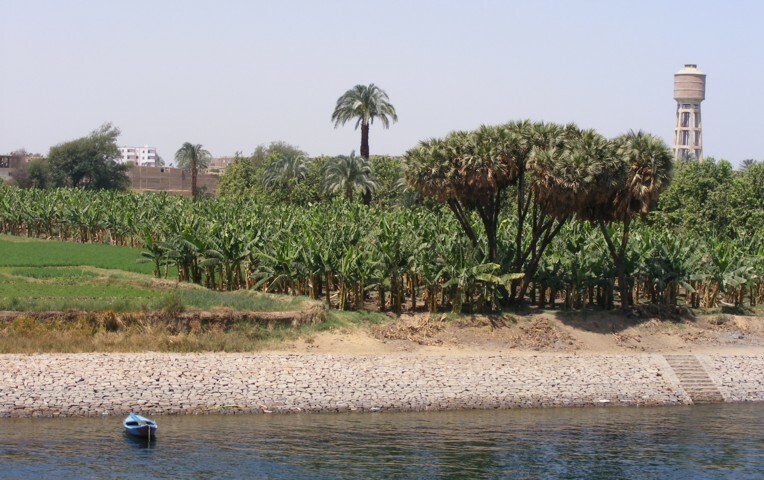 We continued sailing upstream to Kom Ombo, which we reached late in the afternoon. 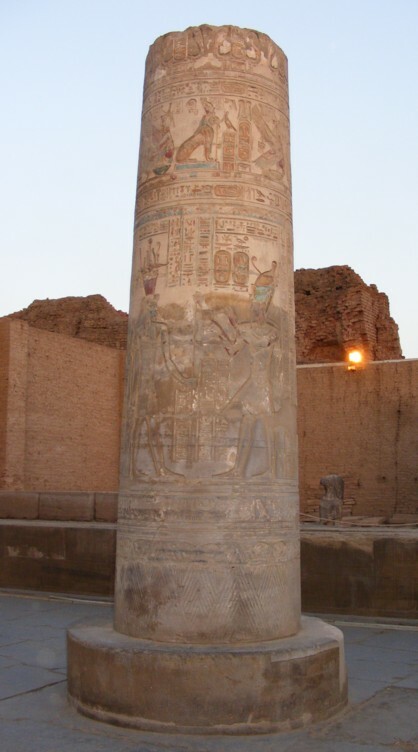 We walked to the temple of Kom Ombo. 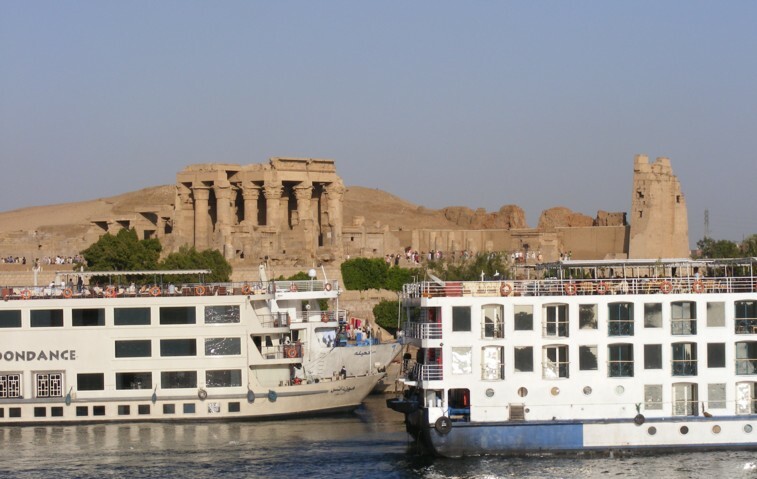 Cruising from Edfu upstream to Kom Ombo. 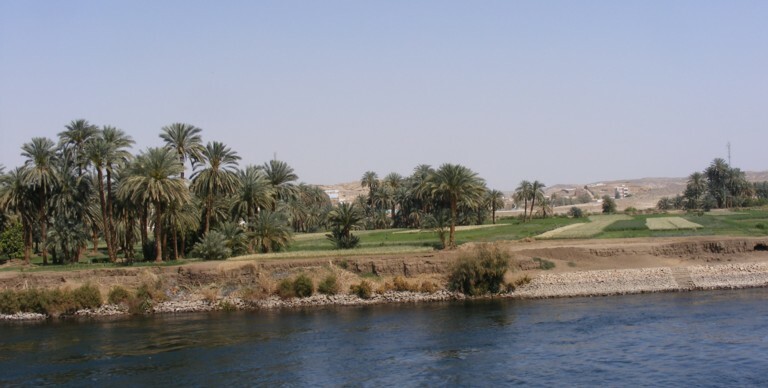 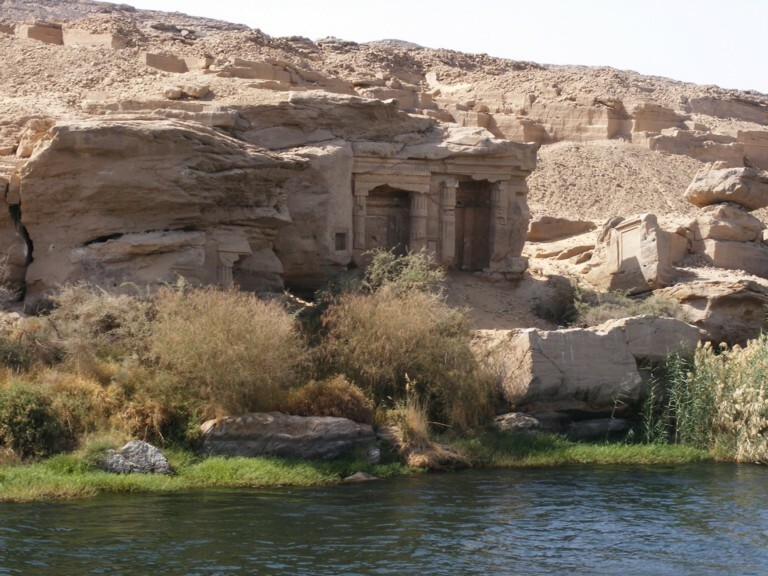 Typical riverbank scenes, except quarry where much of the stone in Kom Ombo temple was obtained. 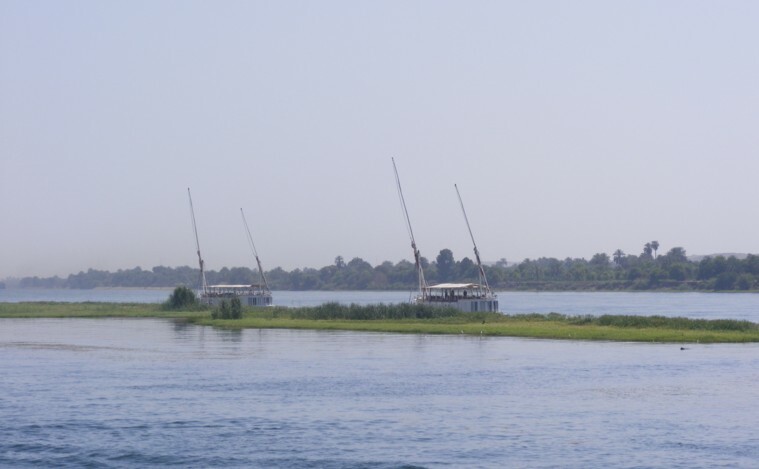 The final image is approaching Kom Ombo. 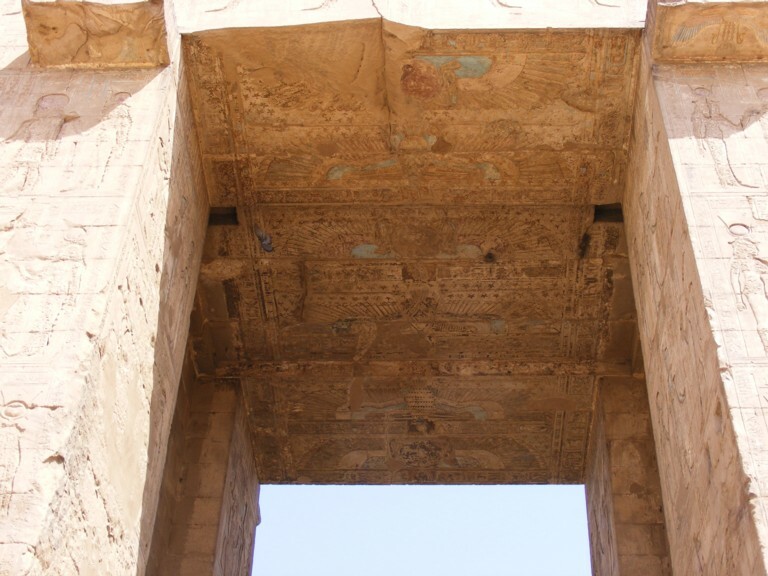 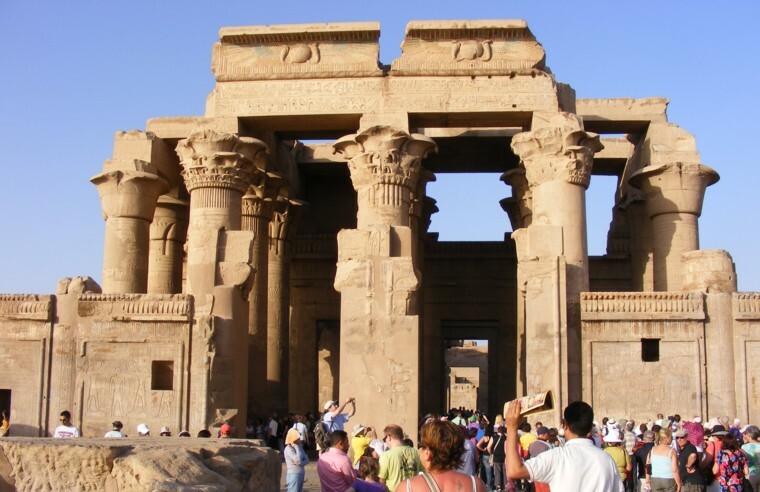 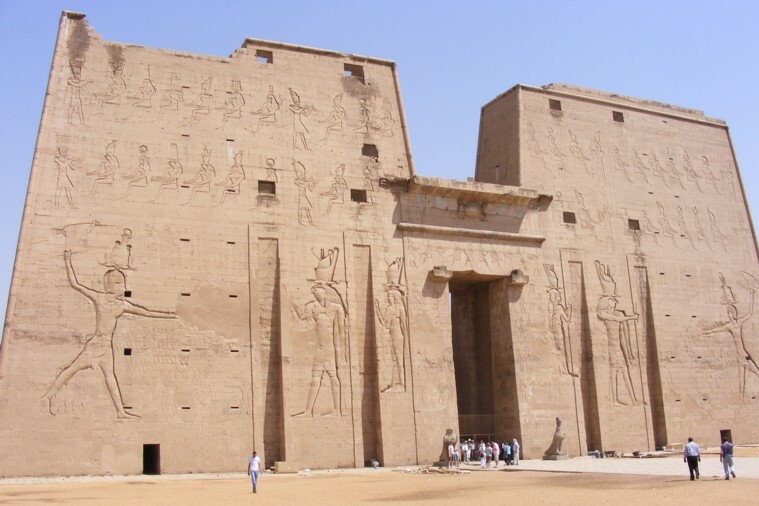 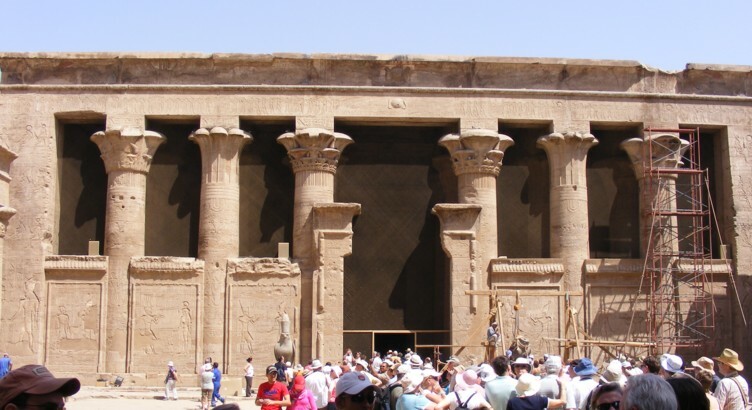 The temple at Kom Ombo was dedicated to two gods and thus has a double entry. 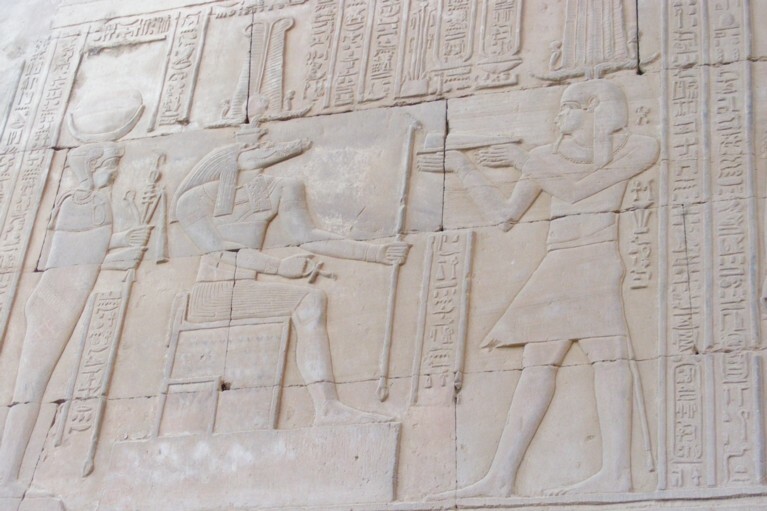 Half of the temple was dedicated to the crocdile god Sobek and the other half to the falcon god Horus. 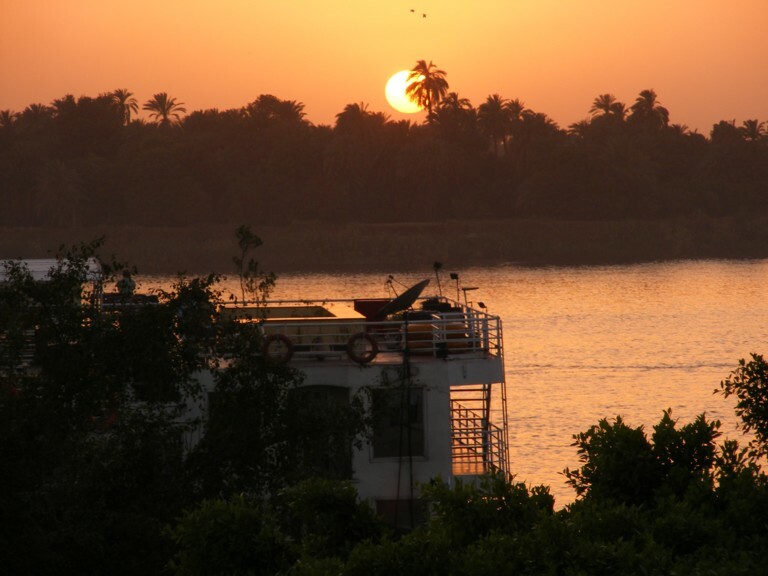 decorations, columns, sunset over river Nile. 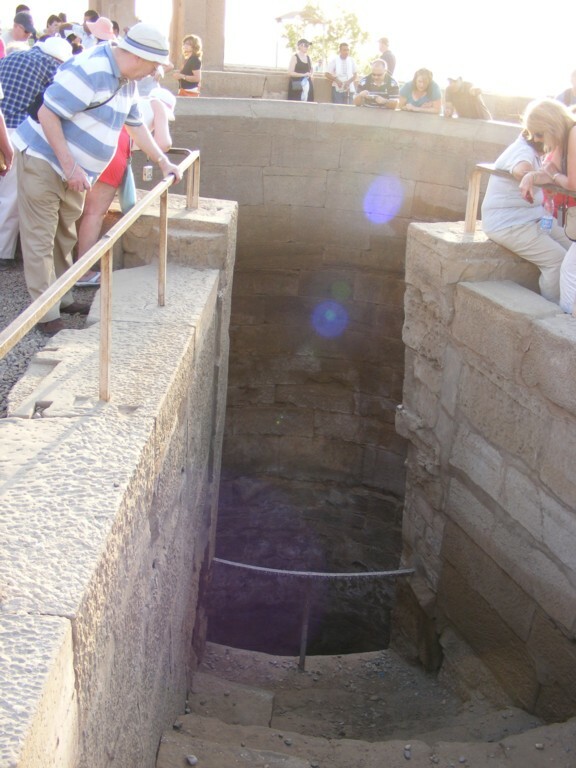 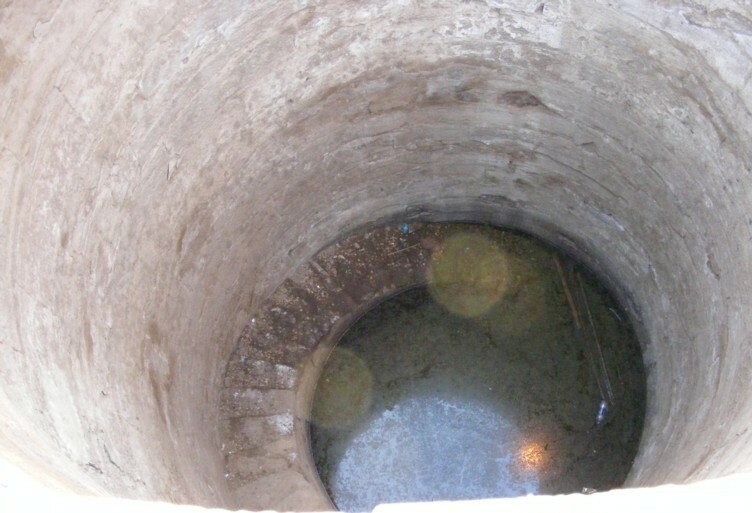 The Nilometer was a well but also served to indicate and enable measurement of the height of the annual inundation.